Celestino Gaspari had worked with Valpolicella master Guiseppe Quintarelli, and married one of his daughters, before he set up his Zýmē winery in San Pietro in Cariano, in the heart of Valpolicella Classico. 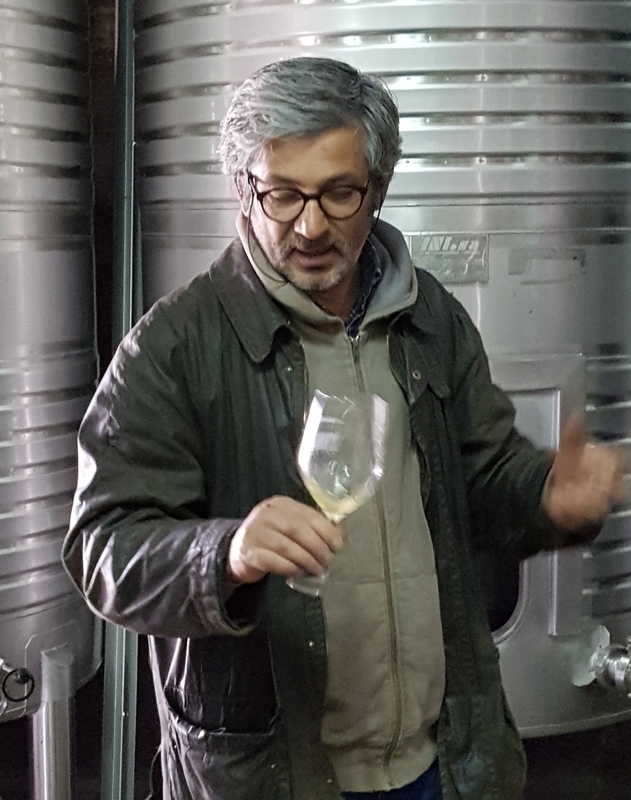 Celestino had also helped several others with various projects (among them Bertani, Santa Maria alla Pieve and Musella) – and several wineries were born under his guidance (like Monte dall’Ora, also in San Pietro). 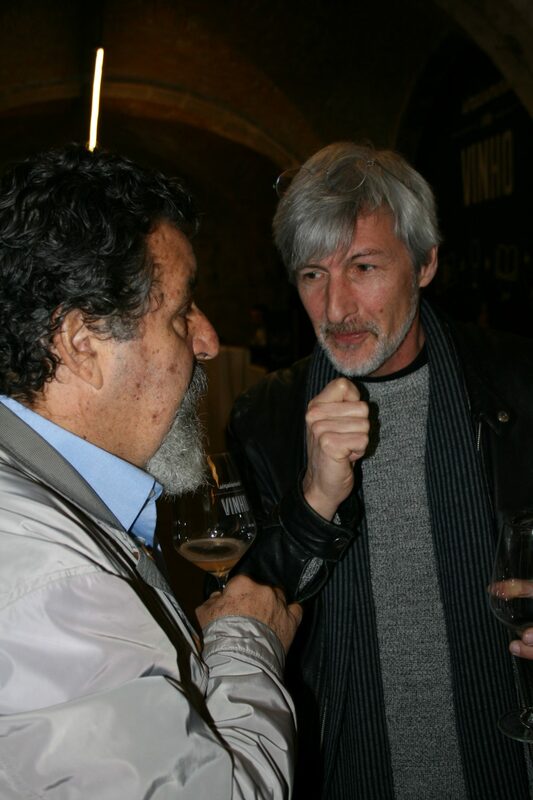 Zýmē was the name of his consultance agency, and became the name of his own winery, when he in 2003 started with 7 ha. on rent. 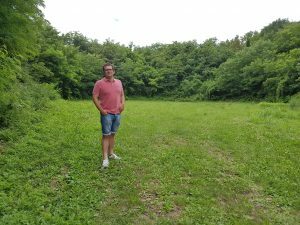 Now there are 30 ha., where ecosustainability and respect for the rhythms of nature are vital aspects. Zýmē, from Greek, means “yeast.” For Celestino this has a symbolic meaning as a continuous striving towards transformation. The logo represents a leaf, formed as a pentagon, which is a symbol of the five basic elements needed to make wine; soil, grapes, sun, water and man. There were many good wines to chose from; Oseleta (a 100% varietal), Kairos (from 15 grapes, 4 white and 11 red), From Black to White (from a natural genetic mutation of Rondinella) and an Amarone Classico della Valpolicella on the dry, almost elegant side. 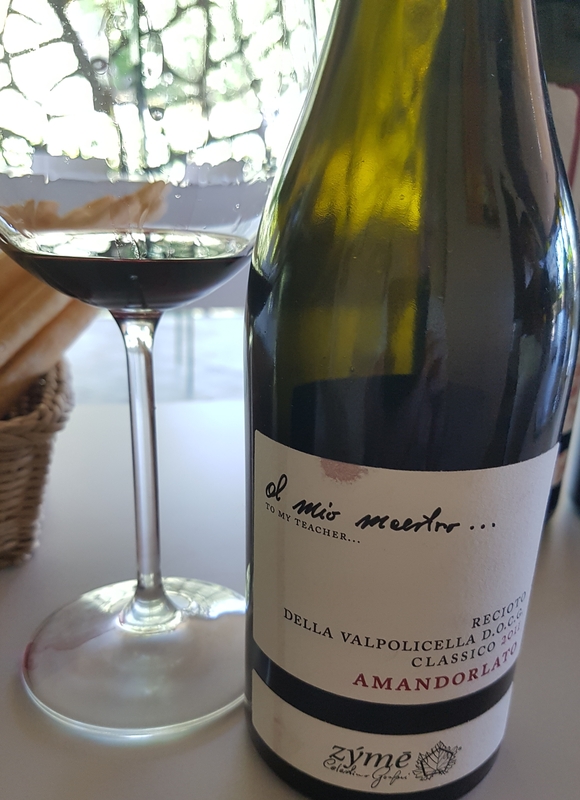 Still I chose the Recioto Amandorlato, a wine dedicated to the memory of Giuseppe “Bepi” Quintarelli, his father-in-law, who passed away in 2012. 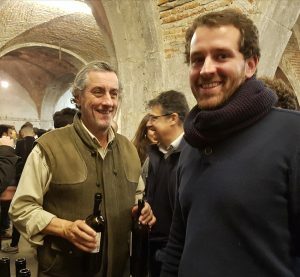 The wine was first presented at this year’s VinItaly. Celestino describes Recioto Amandorlato as a synthesis between traditional recioto and amarone. One could say a recioto with the lowest possible sugar residue. Recioto della Valpolicella DOCG Classico 2011 Amandorlato “to my teacher …” (produced in 1,500 bottles of 0,5 l) is a blend of corvina and corvinone (60%), rondinella (30%), molinara (5%) and croatina (5%). 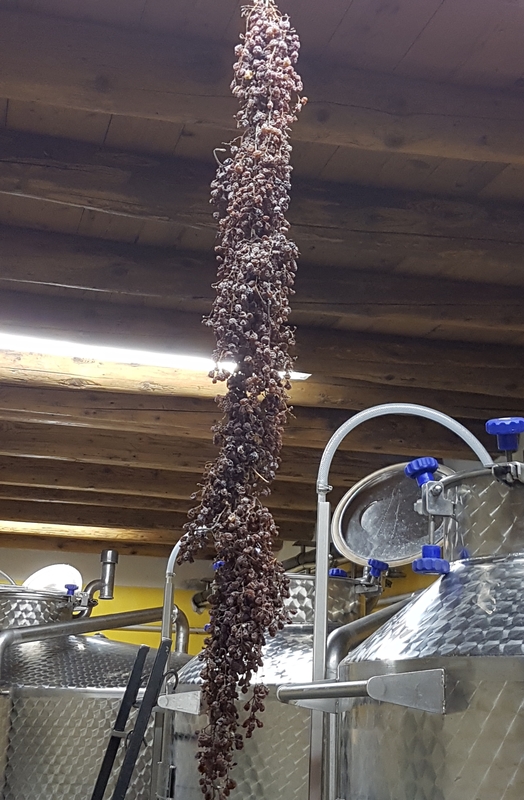 After drying, the grapes were vinified in cement, then matured for 20 days in Slavonian oak barrels of between 350 and 500 l. In May 2017 it was bottled. Dark cherry colour. 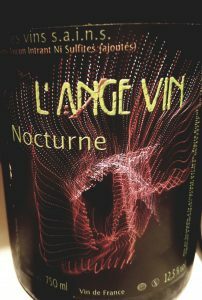 Ripe fruit (cherry, plum, blueberry), peppery spiciness, bitter almonds and a sweet component like ​​cocoa. Quite glyceric, with soft tannins, sweet (but not too sweet), and with a lingering finish. 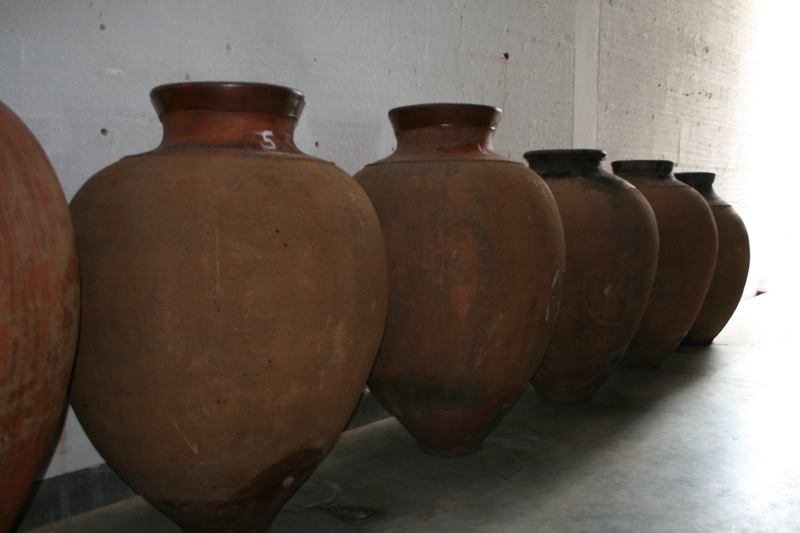 Alentejo has a more than two thousand years old unbroken tradition for clay-aged wines. The area now experiences a fashion for these wines, and in 2010 a specific DOC was even awarded. Talha is a large clay container. They come in different sizes and degree of porosity, but they are definitely recognizable. Since they are porous, most are sealed inside. Most common is a form of resin, mixed with other ingredients. The tradition has been kept alive by local restaurants. Now the number of commercial producers that take up the tradition is still increasing. 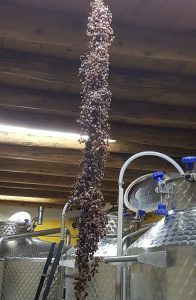 Here is a short version of how the wines are typically made: The grapes are pressed and transferred to the talha, where a spontaneous natural fermentation takes place. During this period, the grape and skins float to the surface and forms a thick mass. This is pressed down with a piece of wood to extract the color, aroma and taste of the wine. Fermentation is completed, and the mass sinks to the bottom. When the wine runs through a hole at the bottom of the jar, this mass helps to filter, together with straw designed for the purpose. The grapes are picked in September, transported into the wine house, pressed, then transferred to the jars – with or without stem. 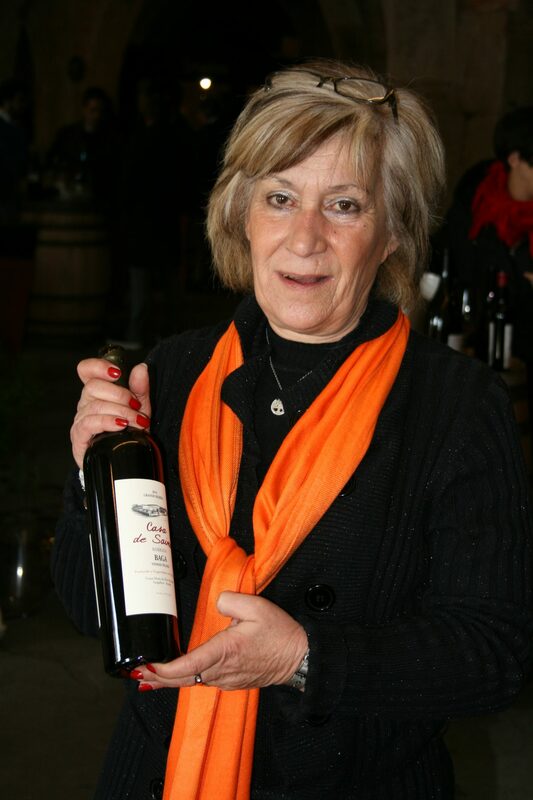 During fermentation, batonnage is carried out. The mass is pushed down twice a day to extract colour and flavour, but also to prevent it from blocking the opening and the jar exploding. 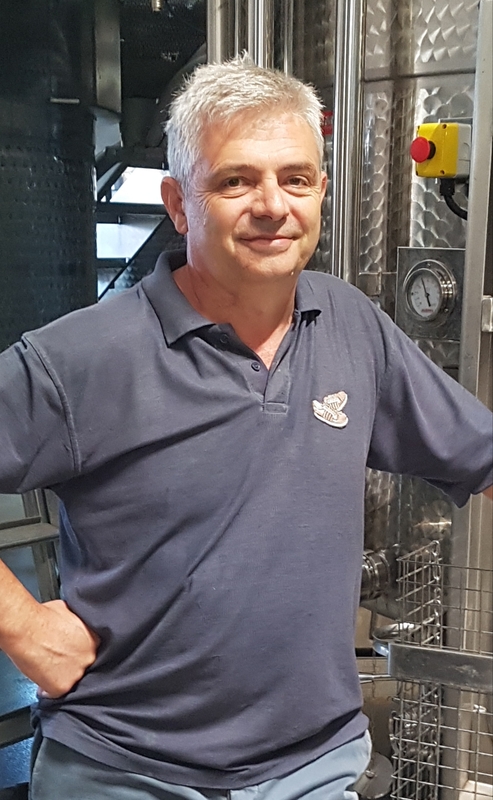 As a rule, the fermentation is completed 8-15 days after the grapes are placed in the jar, so it takes a few weeks for the lid to sink to the bottom. For many, the wine is now finished and the drinking can start. Traditional restaurants usually serve it more or less directly from the “talha”. 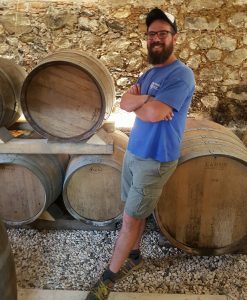 The modern, commercial wine houses usually leave the wine on the steel tank, some place it, surprisingly maybe, in oak barrels. Traditionists put the wine back on the jars. These are often covered with lid of wood, clay, cardboard or anything. A more effective protection against oxidation is olive oil, which is poured into the jar. 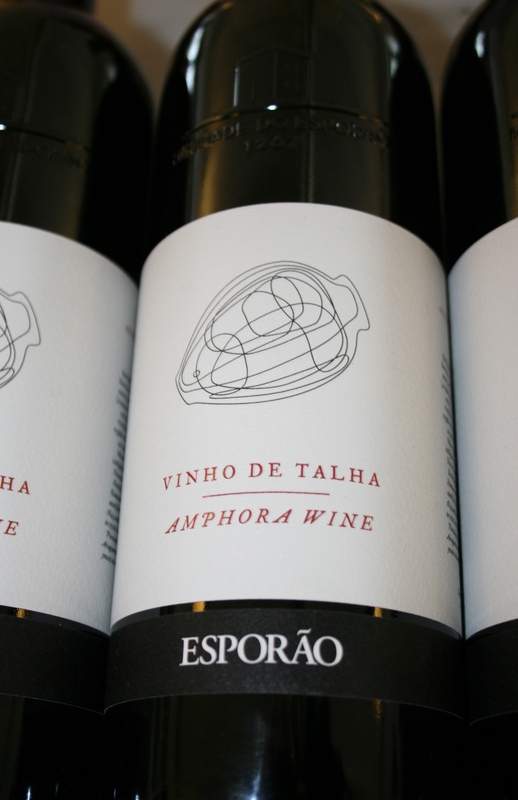 The DOC Vinho de Talha was created to preserve tradition. The regulation states, among other things, that the grapes must be cultivated within the 8 subregions of DOC Alentejo, they must be rejected, fermentation must be done in closed containers (talhas) and the wine and grape must remain in the jars until 11th November. One can store the wine longer, but this is the day when official officials come to certify the wine. This is St. Martin’s Day and traditionally the day one drank the wine for the first time that year. Martin from Tours was a soldier for the Romans, but became Christian as an adult and then lived as a monk. 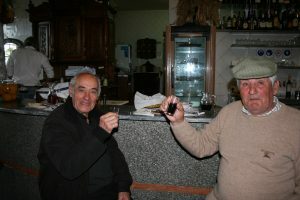 In Portugal, the day is primarily associated with celebration of the new wine. Moreto is the grape variety that stands out as the traditional bearer. 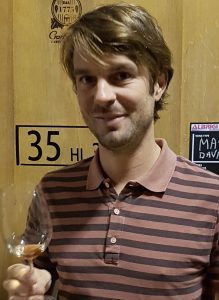 But the tendency is that other grape varieties are used, and the wine spends less time in the vessels in contact with the skins. Herdade do Esporão is a property that can actually track its borders back to the 13th century. It was purchased by two private individuals in 1973. 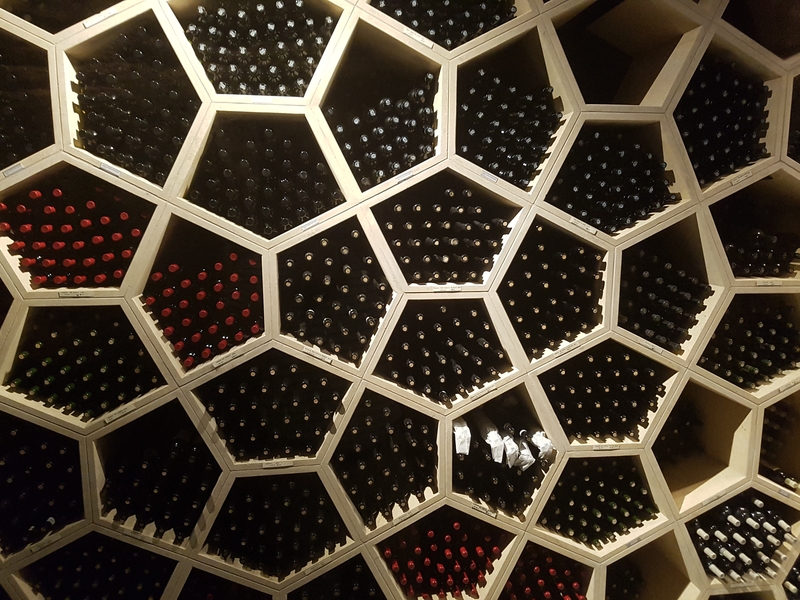 The first wines came on the market in the 1990s, and almost instantly it was a huge success. It’s maybe of importance that a large company like Esporão participates in the collective talha experiment that is now taking place in the area, because those who no one else can register and catalogud knowledge and experience. 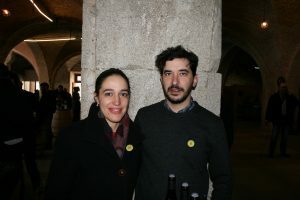 Perhaps they can also help promote the Alentejo region to consumers. Esporão inserts the jars with beeswax (made after a complicated recipe), to avoid anything evaporating. This certainly gives some taste to the wine, or rather: it reacts with the wine. To avoid oxidation, a layer of olive oil is placed on top of the talha. 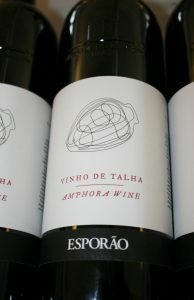 Their Vinho de Talha is only sold in the house’s own shop, to keep an image of exclusivity, it is said. 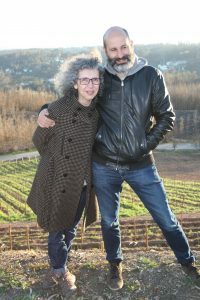 The 2014 vintage comes from old, rented vineyards in the cool Portalegre sub-region to the north, high in the São Mamede mountains, with varieties moreto, castelão and trincadeira. 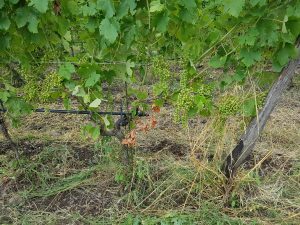 The grapes were picked late in the autumn, end of October-beginning November. No SO2 is added and the yeast is completely natural. The wine makers are David Baverstock and Sandra Alves. The wine is relatively light ruby. Aroma of red berries (ripe raspberries) with flowers, some spice and liquorice. 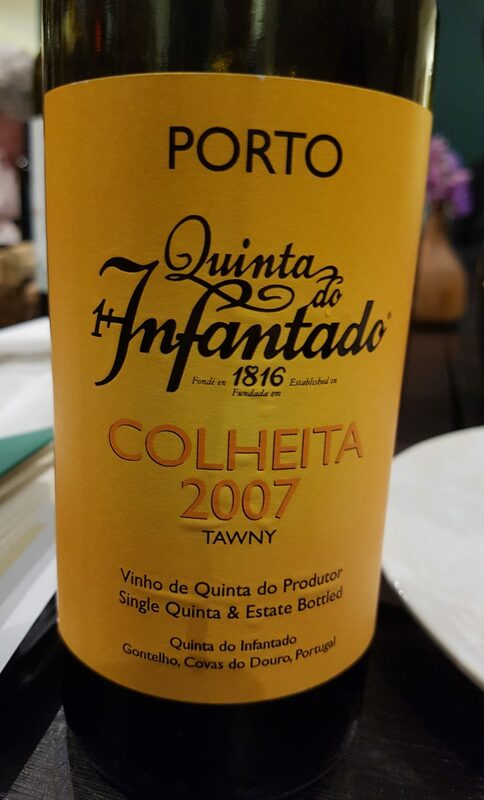 Intense fruit on the palate, fresh acidity (typical of northern Alentejo), elegant tannin, and some sweetness at the end. 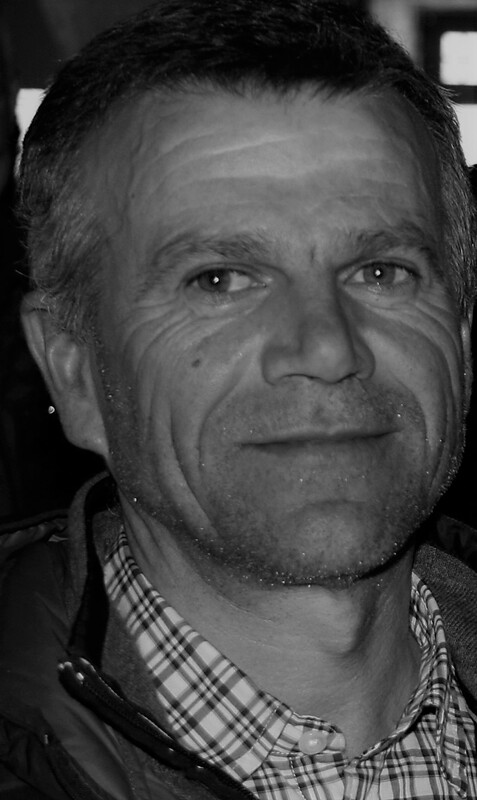 This week’s selected wine is from nobody else than natural wine guru Jean-Pierre Robinot. 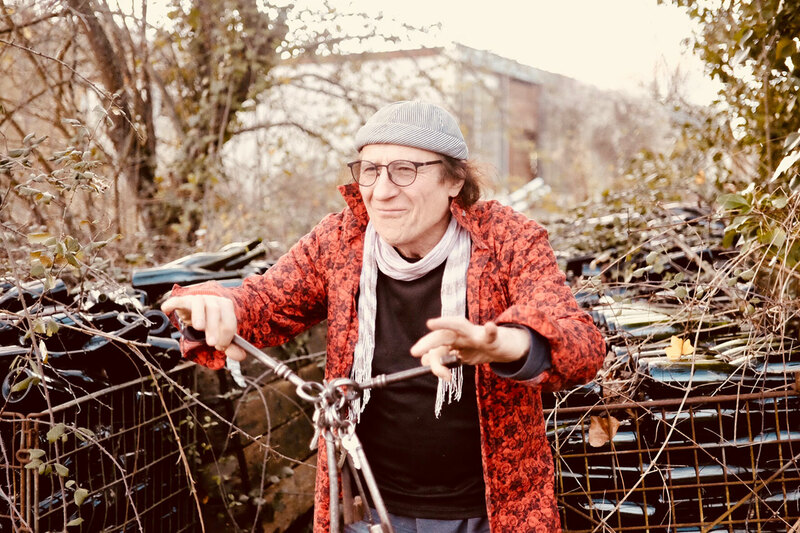 As the story goes, Robinot fell in love with wine at a young age, moved to Paris, met some of the pioneers of natural wine and opened L’Ange Vin, one of the first bars dedicated to that kind of drinks. 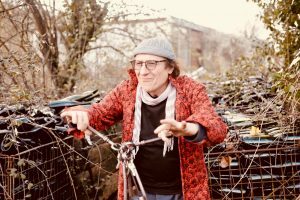 Soon he decided to make natural wines himself, and moved back to Chahaignes, where he grew up, in the north of Loire. The rest is history, as they say. He offers one wine better than the other; easy-to-drink and serious at the same time, they keep for weeks after opening, they express their origins magnificently, and they are highly original. Jean-Pierre owns around 8 hectares of vines in the two appellations Jasnières and the Coteaux du Loir, soils red clay, limestone and silex. And the fermentations, they can last for months, years, in the ancient underground caves. This pinot d’aunis’s adress is Coteaux du Loir, from a vineyard planted in 1960. It spent 12 months in old barrels. 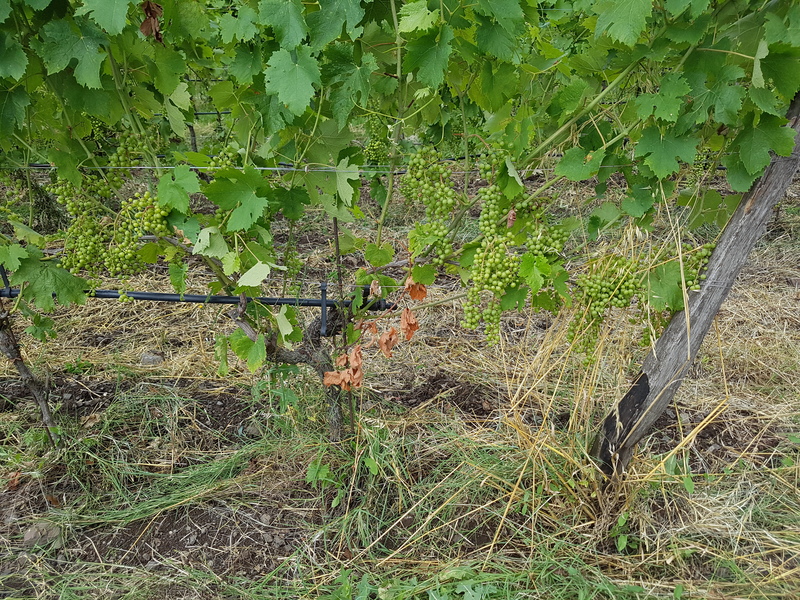 The cultivation is biodynamic, – no additions, unfined, unfiltered. Light cherry red. Typical aromas of violet and black pepper, red berries (cranberry). Fresh, juicy and pleasant on the palate, with fine-grained tannins, and long, chalky minerality. So elegant, so full of energy and vitality. I am just home from Verona. I love the city for its architecture with granite buildings, its atmosphere, the river Adige that snakes through, and in my opinion it’s unfairly overshadowed by nearby Venezia. This week’s wine could be many, because it was a rewarding week. But they will appear in future articles. 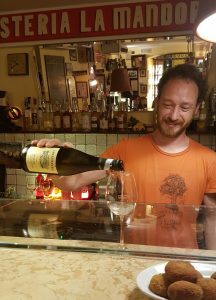 This one was served at the Osteria La Mandorla, only two blocks from the city’s outdoor opera Arena. 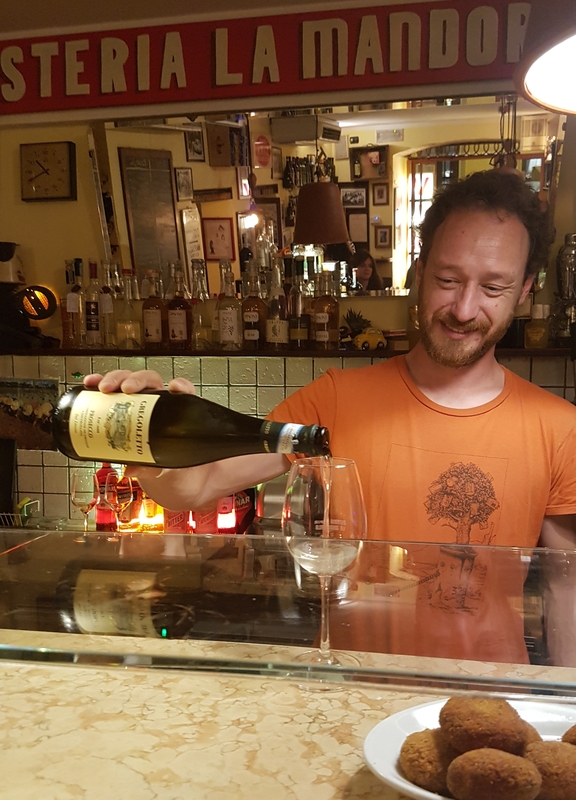 Mandorla, aka Vini Zampieri, is a small, colourful, historic bar with a good selection of organic and natural wines, a knowledgeable staff, and cool jazz and rock soundtrack. With the wines they serve tasty bites like toasted focaccia, characuterie, and their wonderful arancini (rice balls). 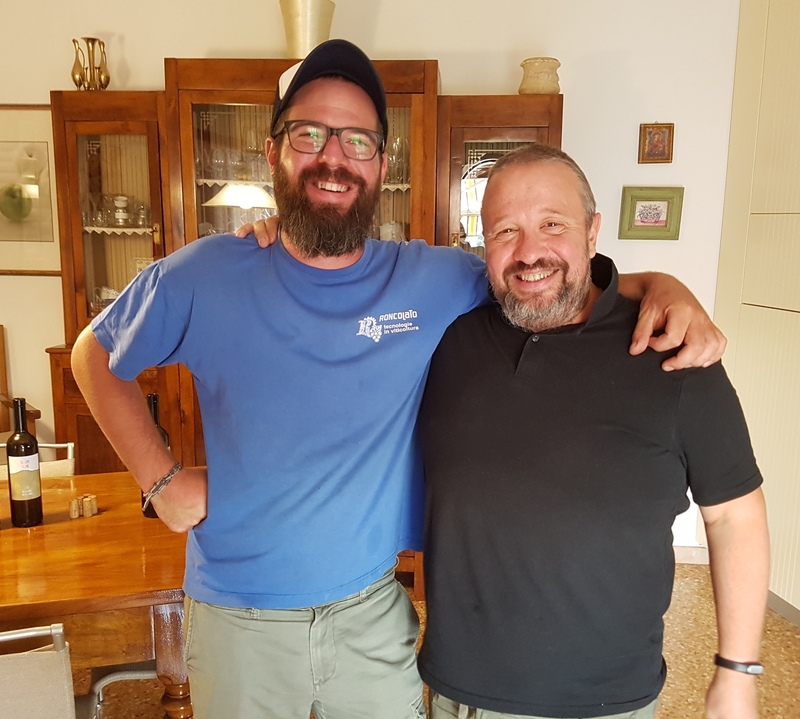 The history of Gregoletto starts in 1600, when the family signs a contract with the Abbey of Follina for cultivation of some vineyards, still managed by them. We are in the hills between the three small towns, Conegliano, Valdobbiadene and Vittorio Veneto. 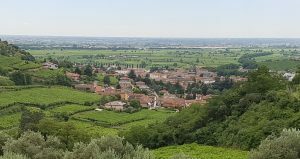 The two latter have soils consisting of clay, and a cooler climate than Conegliano, especially the northern ridges. 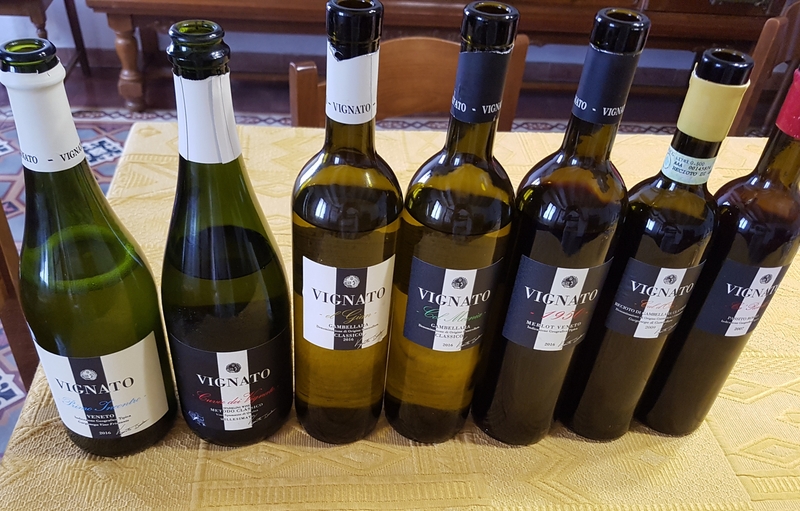 South oriented vineyards near Pieve di Soligo have a warmer climate and soils consisting of limestone and clay. 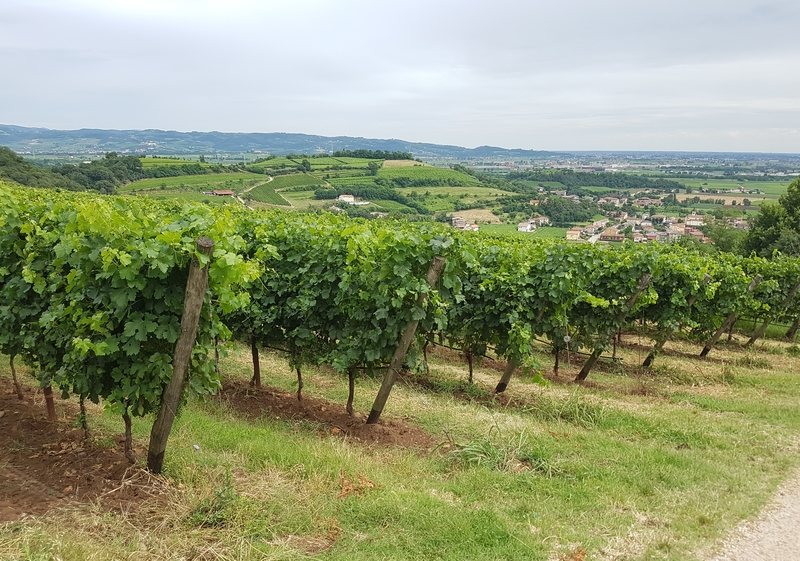 The vineyards are situated in the subzone of Premaor in the commune of Miane, between the three aforementioned towns. They also buy grapes from a handful of grape growers with whom they have had close relationship for a long time. 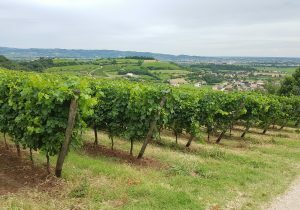 Only grapes grown on hillsides are used for all wines. Compost is rarely used, and herbicides are never applied in any plots. The harvest is done by hand, the grapes gently pressed in pneumatic presses, and fermented by indigenous yeast in steel tanks. It remained on the lees for another three months after which it is bottled. The refermentation of this wine takes place in the bottle (not in the conventional tank). 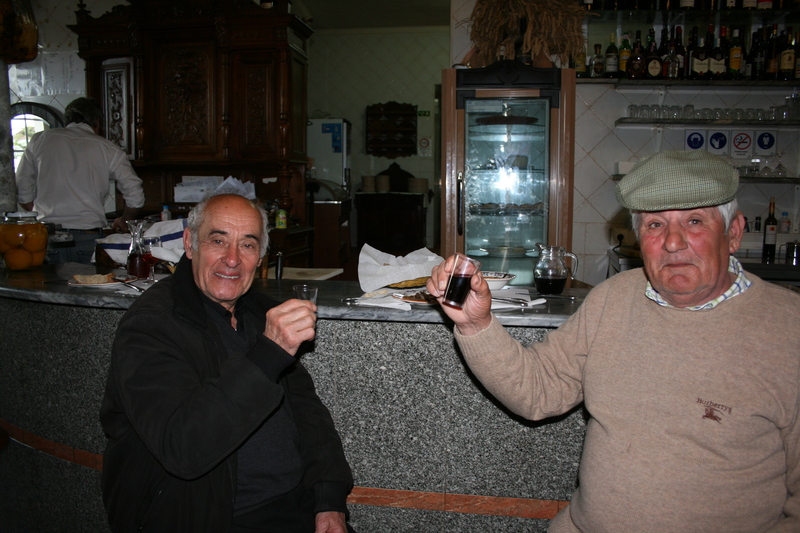 The wine is not disgorged, but remains for on its lees until it’s served, just like in the old days. Light straw colour, somewhat cloudy, fine and persistent bubbles. Subtle nose of green apples, with some bread crumbs. Completely dry, and with a fine acidity. In the days leading up to the Simplesmente Vinho fair we drove around in the Dão region, and it was no doubt that the fires of 2017 had left its mark on the region. And not only among those directly hit. Here is an article from our Dão visits, recently published in Norway’s Vinforum magazine. 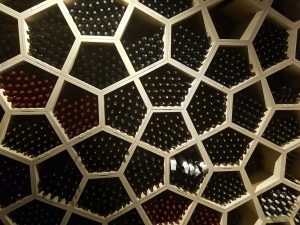 It’s in the Norwegian language, but here I chose one wine from each featured producer, and supply a few pictures from the article. Here is a link to the page where you find the article. 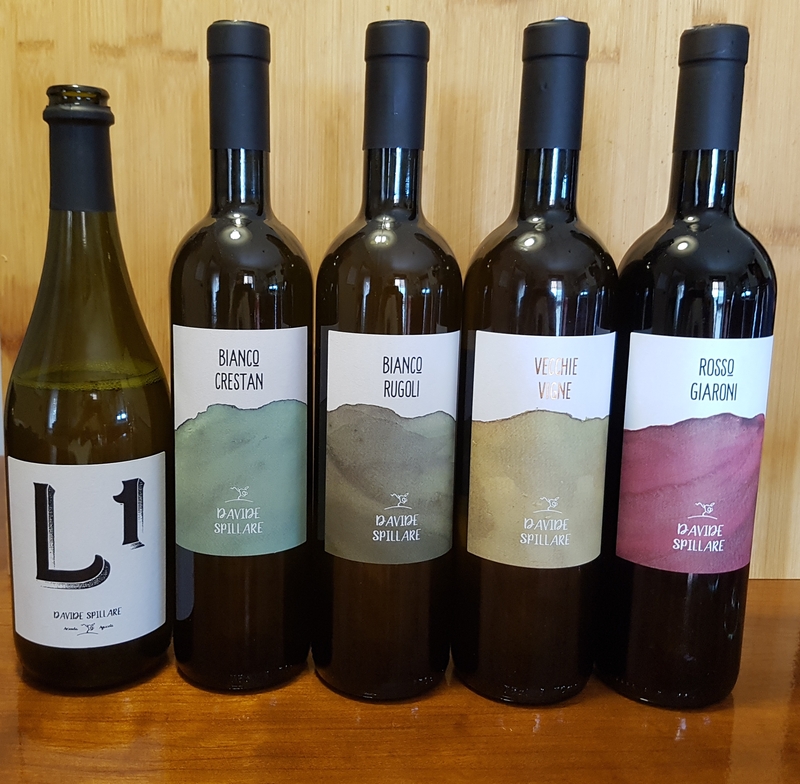 Casa de Mouraz (Mouraz outside Tondela): Well-made wines, clean and direct, fruity and balanced. Wine from all categories, also Vinho Verde. 25 ha. 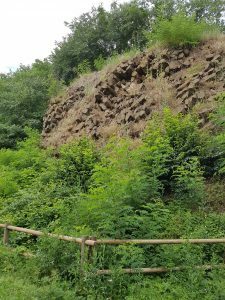 own vineyards, more clay than usual in Dão, but some granite too. 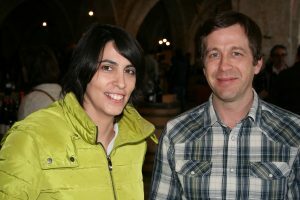 Sara and António were probably the most severely hit by the fires, and guests of honour at the fair. 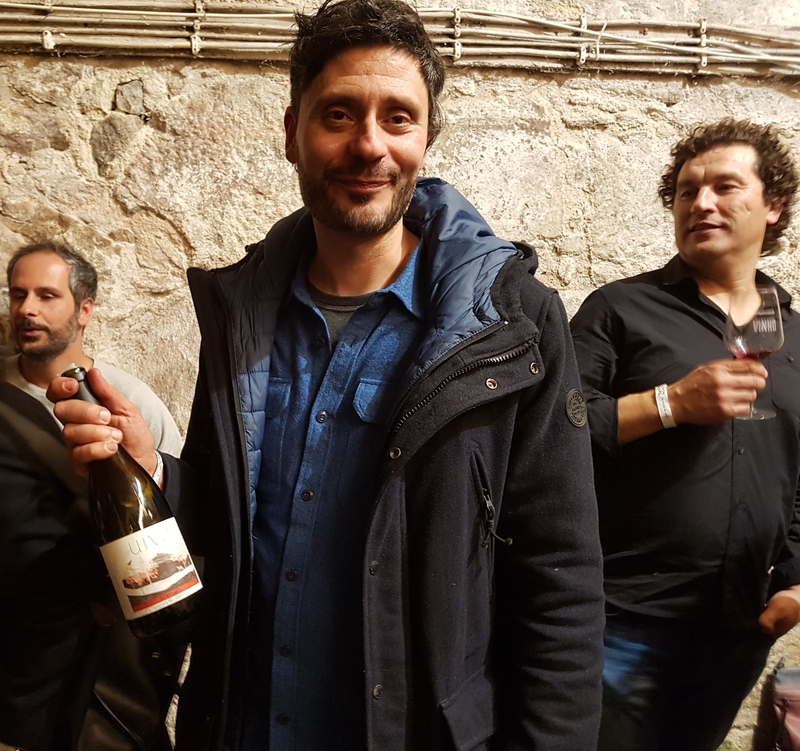 Here I chose their Elfa 2014, from 80% baga and around 30 other varieties, that went into the fermentation tanks with whole bunches. It’s a great wine, fresh and quite direct, with red berries, green pepper, medium structure and a balanced natural acidity. Alfrocheiro 2011 has kept the dark colour well, and shows aromas of blackcurrant, pepper and some balsamic, and with good support from tannins and acidity. João Tavares da Pina (Quinta da Boavista), Penalva do Castelo: Cooler, higher (around 500 meters), clay and schist (from maritime sediments), 13 ha. planted (50 in total). 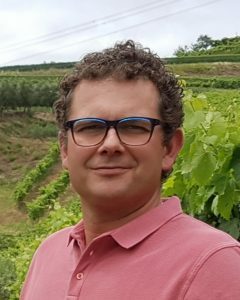 João has a passion for the jaen grape, well-suited here, with its long cycle. 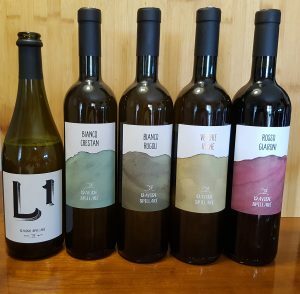 His entry-level wines Rufía! 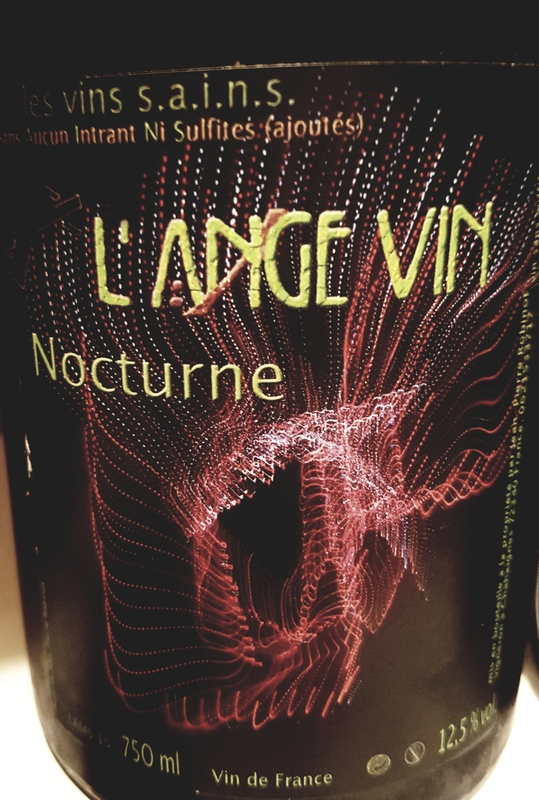 are direct, fruity, acidic, turbid and easy to put in the “natural wine bag”. But the reds also demonstrate their ability to age. 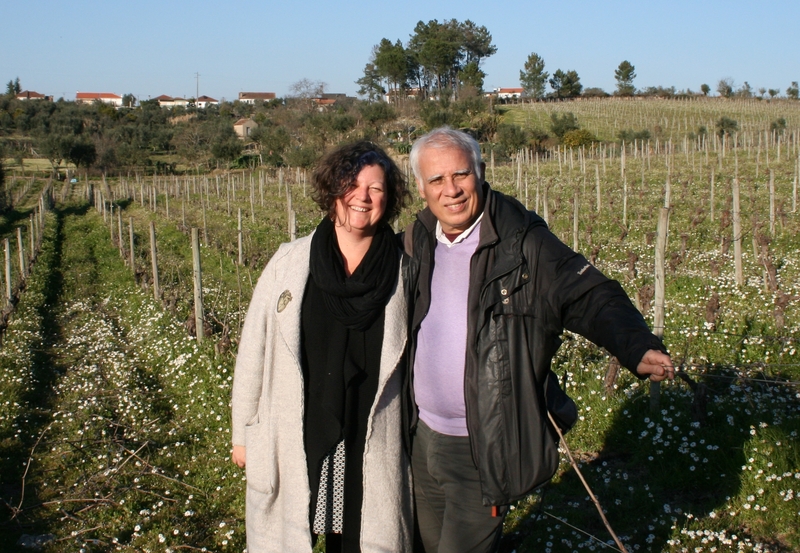 João searches for both freshness, but also the decadent mushroom and underwood aromas. The jaen grape and high fermentation temperatures (up to 32°C) are tools to achieve this. João is also a passionate horse-breeder, a creative chef, and maker of Serra da Estrela cheese until recently. While waiting for the lamb chutlets to be finished we tasted some 20 wines that João had placed on the stove. A white Rufia! 2016 was opened 13 days earlier, had one week skin-contact in a small steel lagar. Light orange and turbid, flowery aromas, citrus peel, and a wonderful, stimulating acidity. He plays with oxidation, but balances masterfully. 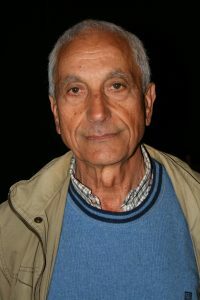 António Madeira, making wine from 6 ha. spread over 6 villages, most near -or in- the Estrela: He is French, from Portuguese descendant. His project is to identify and categorize the great vineyards of Dão. He started to make wine in 2011 from a 50 year old vineyard, while still living in Paris. 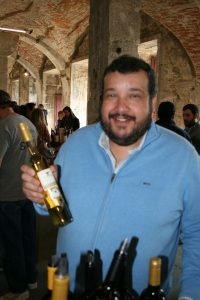 His wines all have freshness and energy. To say that they are promising is an understatement. 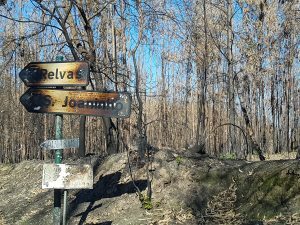 2017 will be remembered by the fires, but the vintage itself is promising, dry (not surprisingly) and very early harvests. 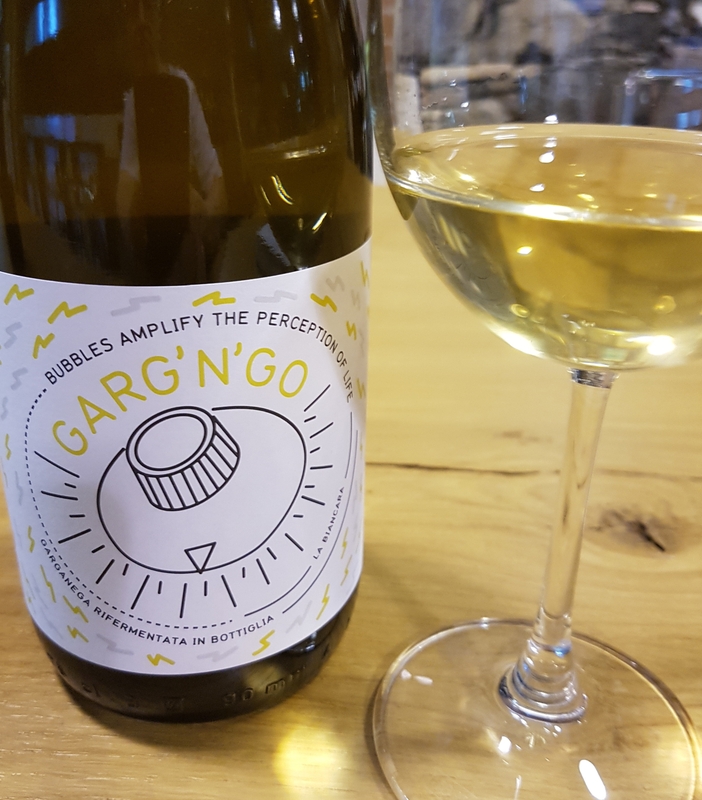 Liberdade Branco 2017, his first almost-no-sulphites wine: Complex, still a bit reductive, but fine spicy notes, pear and citrus. Good acidity, with a salty minerality (oysters, according to himself) in the finish. Wait until this really opens! 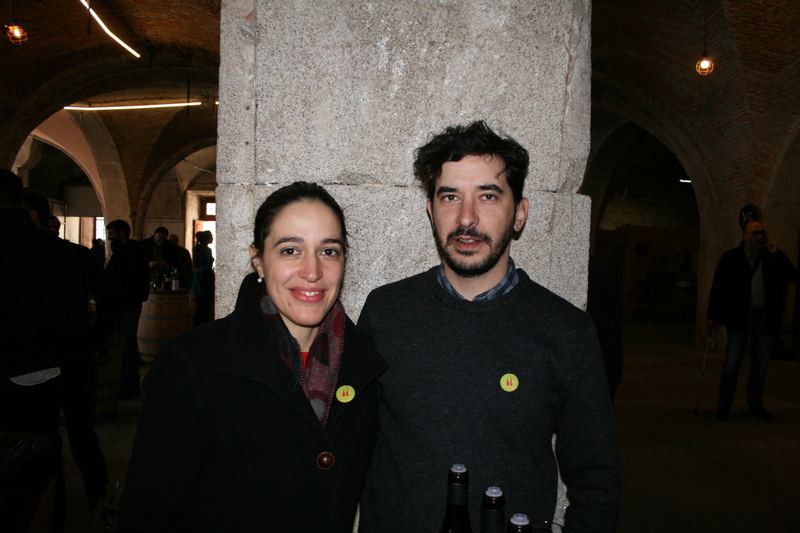 There will also come short articles about the Douro and Vinho Verde producers of the fair.